John Morton’s motorsports career is legendary. He drove for Shelby, helped put Nissan on the map, and posted wins at Sebring and Le Mans. The man himself is remarkable, too, with those iconic glasses, a friendly demeanor and the desire to help animals in need. This spring’s Speedfest at the Classic Motorsports Mitty, scheduled for April 27–29 at Road Atlanta, will honor Morton as well as two of the brands that defined his career: Nissan and its predecessor, Datsun. For Morton, that ambition stuck through high school and two years of college. After that second year at Clemson University, in the fall of 1962 he left Illinois for California to attend Carroll Shelby’s new driving school. His driving instructor turned out to be Peter Brock. Morton eventually worked for both men: first Shelby, then Brock. The rest is history. 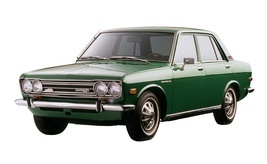 Initially, Morton recalls, he was not enthusiastic about the idea of a Datsun 510 as a race car. Another model in the brand’s lineup struck him as a more sensible choice. “We had run the 240Z successfully, and it even looked like a race car,” he explains. Still, BRE and Morton took an import econobox from a Japanese car company that few Americans considered race car material and racked up an impressive record during their two-year stint in the 2.5 category of Trans-Am. Behind the wheel of the No. 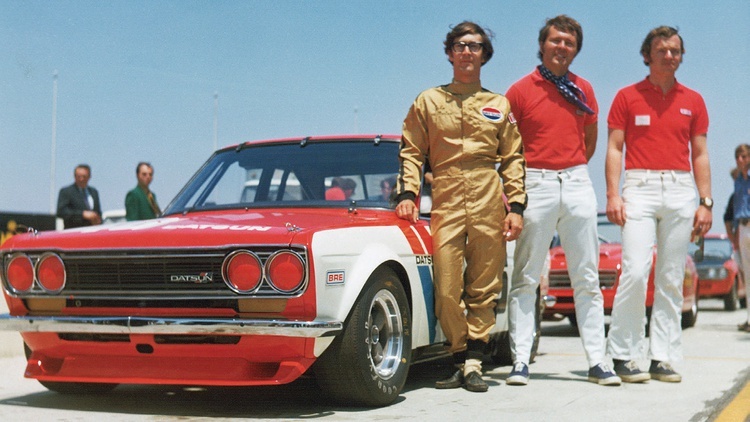 46 Datsun 510 campaigned in 1971 and 1972, Morton led every 2.5 Trans-Am race BRE entered. He also won 16 poles and 12 of 19 contests. 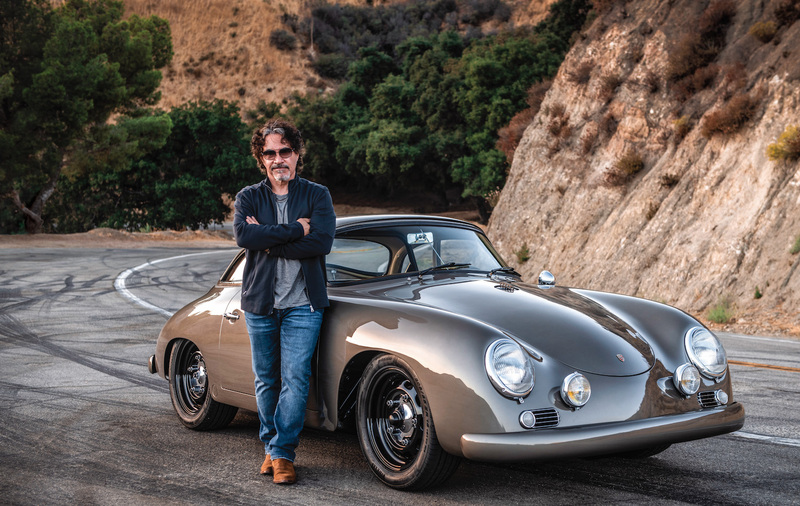 “I doubt that there’s ever been a single car that’s had a more impressive record,” he says. Looking back, Morton notes, it’s possible that the efforts of BRE, Bob Sharp Racing, and others changed the company’s image for a whole generation. If that’s true, he adds, it may be among the biggest transformations of a car company’s image on record. 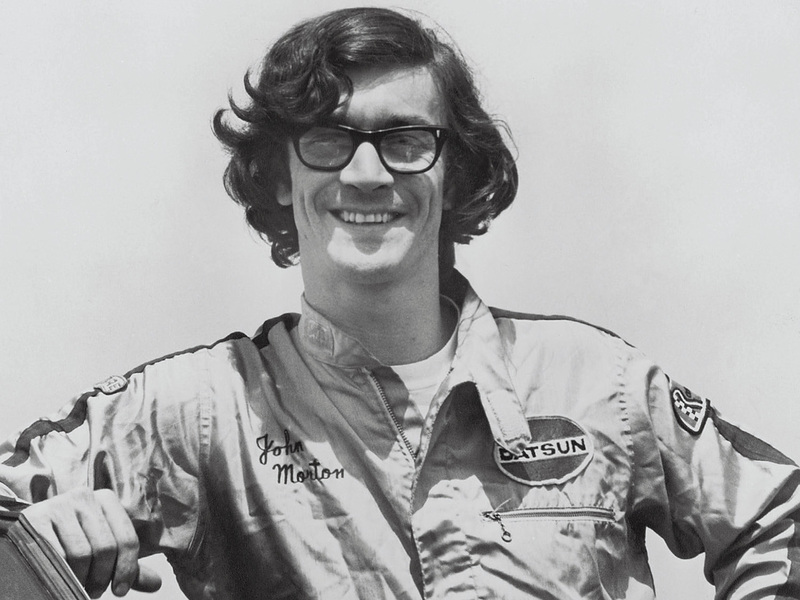 Despite the association with Datsun, John Morton’s pro motorsports career began with Shelby. As Morton recounts in the final paragraphs of “Inside Shelby American,” he reconnected with the famed Texan, too. “From 1985 through 1988, I was fortunate to share the winning car in eight IMSA GTP races driving Porsches, Jaguars, and Nissans. An overall and two class wins at Sebring was the fulfillment of a 34-year-old dream. “But my favorite race of all was the victory at Riverside in 1987 with Hurley Haywood in Bob Tullius’ Jaguar: the last LA Times GP before the track was razed for another needless shopping center. This race brought me full circle, as my entry into the sport really began there in 1962 at Carroll Shelby’s School of High Performance Driving. My last professional race was in 2002. From that time until now, it has been vintage racing for me. “In 1990, I reconnected with Shelby at a tribute roast. I was one of the designated Shelby roasters along with Phil Hill, Dan Gurney, Bob Bondurant, Danny Sullivan, Peter Brock, and Zora Arkus-Duntov. From that point on, Carroll and I maintained a casual friendship. In 1999, Carroll asked me to drive his Cobra coupe in the historic races in Monterey, California. As I sat in the car pumping the pedal while a mechanic bled the brakes, Carroll stood beside me talking to an Englishman I didn’t recognize. After Monterey, we planned to run the Cobra coupe at the Goodwood Revival in England. The Englishman was telling Carroll how some of the cars over there were stretching the rules. “Carroll’s response was, ‘Oh, that’s a damn shame. This is not what vintage racing is supposed to be about.’ Ten minutes later, sitting in the lounge of the transporter, Carroll gleefully explained to me and car builder Mike McCluskey how he was planning to cheat at Goodwood. 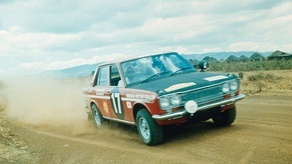 Join Free Join our community to easily find more Datsun and Nissan articles.